The Crystal Project is committed to increasing awareness of dementia and reducing the stigma that surrounds it. 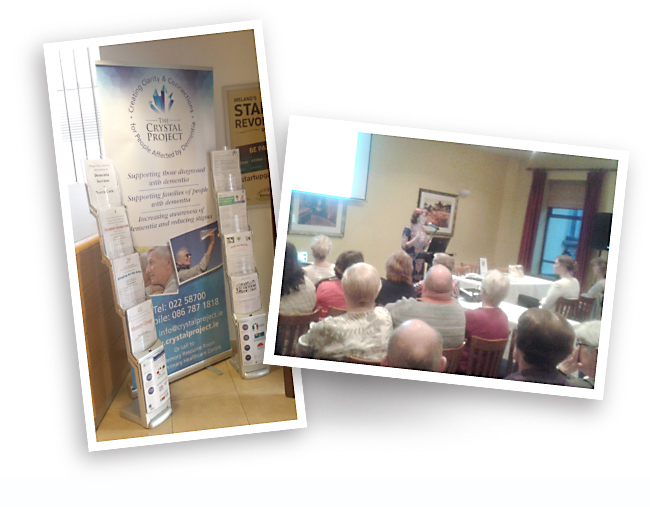 We host annual public information evenings in various locations throughout North Cork. We also set up portable information stands in prominent locations such as Mallow Home and Garden Show, GP practices, credit unions, banks and libraries. If you are willing to host a portable information stand in your place of work, please contact the project. 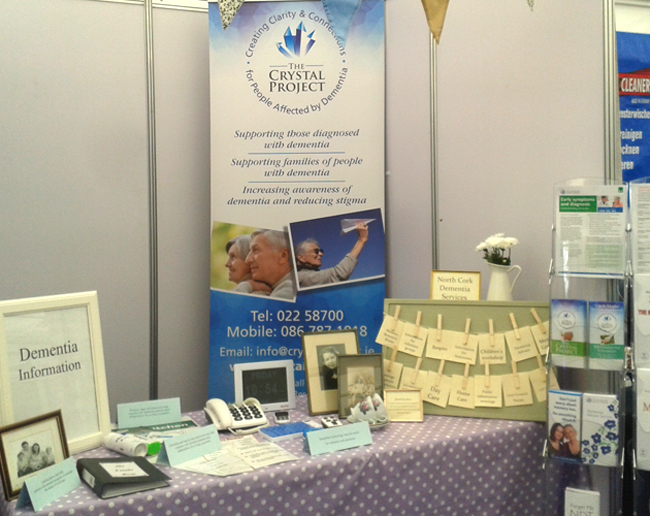 The Crystal Project also speaks to community groups and organisations about dementia and the services in North Cork. If your group is interested in learning more about dementia or ways of supporting group members to live well with dementia, contact the project.